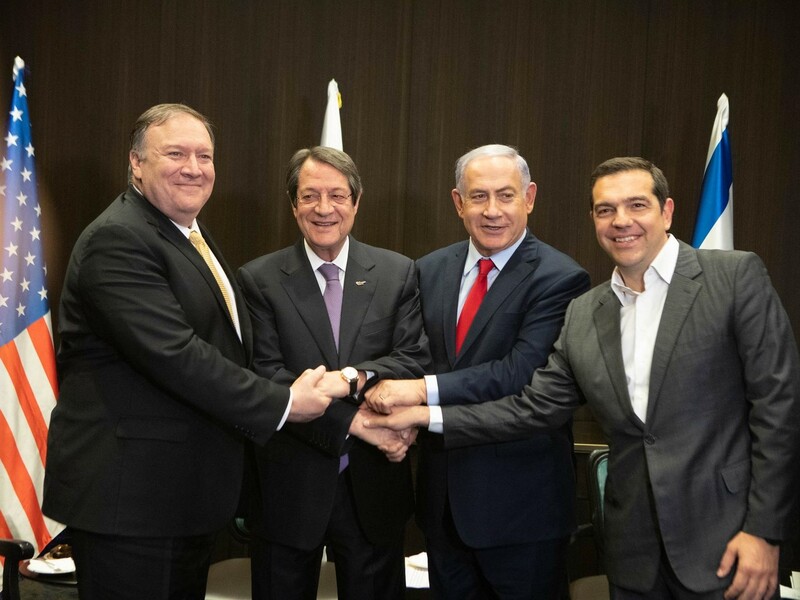 On March 20, Cypriot President Nicos Anastasiades, the Prime Minister of Greece Alexis Tsipras and the Prime Minister of Israel Benjamin Netanyahu and US Secretary of State Mike Pompeo met in Jerusalem at the 6th trilateral summit between Greece, Cyprus and Israel. The Communist Party of Greece (KKE) issued a statement about the trilateral summit in Jerusalem, that is "being exploited by the government and bourgeois staff to advertise the US-NATO contribution to the 'stability' of the region and to whitewash Greek involvement in the dangerous plans and imperialist rivalries." Reminding that the "regional cooperation" frameworks in which Greece participates were formed with the encouragement of the US under a NATO umbrella, the KKE warns about further militarization of the region and intensification of NATO's aggression due to the deepening engagement of the US in the Eastern Mediterranian. It is also implied that the involvement of France and Turkey in the distribution of the loot of the Eastern Mediterranean is a noticeable possibility according to NATO plans that are being prepared. Meanwhile, the ongoing bargaining does not exclude scenarios for the division of Cyprus or stimulation of Greek-Turkish conflict. KKE concludes, "The result remains the same for the people: There is no guarantee for the sovereign rights of Greece, nor for Cyprus, but only smoke trails for their maceration in the 'blender' of joint exploitation that supports and promotes the US and NATO. The lies and mockery of the SYRIZA government only aim to extract gains for its own dangerous policy and its imperialist allies on behalf of the bourgeoisie. To exact a toll on the Greek people through alliances and rivalries, which have nothing to do with their own real interests." See the link for full text in English, Russian, Arabic and Albanian.